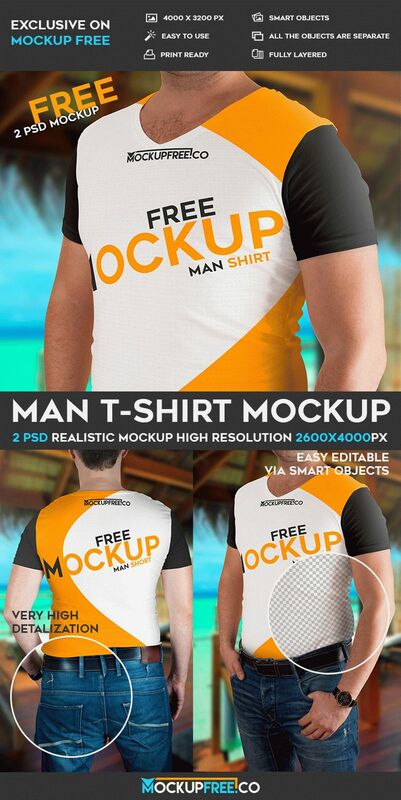 Man T-Shirt – it is 2 Free PSD Mockups that are ready-made for promoting interesting ideas and showing any necessary design. All the smart objects there can be editable without any problems. Purchase 2 Free PSD mockups in high resolution and enjoy the results. Find also many other freebies on our website for professionals!